Becky Hosmer’s love of jewelry started back in college when she had the opportunity to explore the globe, but it was her time in Bali that led to the Anna Beck collection. She was struck by the intricate metalwork techniques that appeared both ancient and modern. Working alongside a Balinese artisan, she began designing her own pieces and eventually launched her collection in 2003. All of her pieces are still handmade in Bali and leave me yearning to jetset to a far-flung, tropical destination. 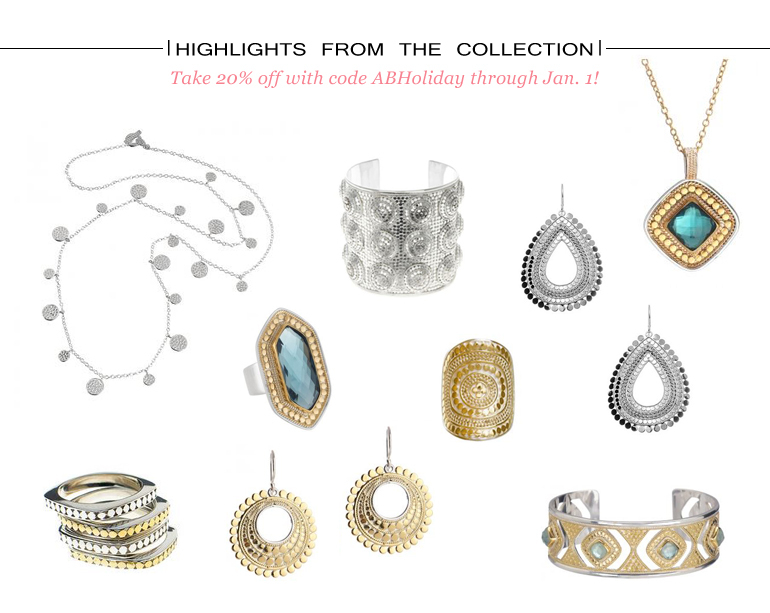 Becky is offering B&B readers a 20% discount through Jan. 1 with code ABHoliday. Let me know if you treat yourself!